Hi my name is Liliane. I have ridden horses from an early age & worked in an eventing & youngstock yard. I owned a horse for 15 years and I showed him (Connor) to a high level. Connor competed at RIHS and HOYS as a HW Cob . Sadly Connor is no longer with me but I still keep my hand in by riding Jo's Highland Breeze, who I compete in Showing and Dressage. My day time job is a sports coach and my main sport is netball. I teach at junior and senior Kings School as well as coaching club netball and university netball . So if I am not riding a horse I am either coaching or playing netball! Hi I'm Jo. I am one of the founder members of the club and am also Chair of BRC Area 10. When I'm not organising Club or Area competitions and events I look after my 3 horses at home and compete my HW cob, Robbie, in Showing and Dressage when I can! My day time job sees me travel my way round Africa and South Asia to livestock farms. If you have any questions on the club please don't hesitate to ask one of us, we are a friendly bunch!! I was lucky enough to have been born in the saddle, being a farmer's daughter with a horse crazy mum. 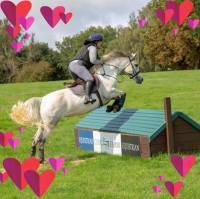 Had lots of fun travelling all over with the ponies, mainly WHP and BSJA foxhunter classes. I continued with showing and showjumping after the move to horses, although have been less competitive/ travelled less far, in recent years. I now have a home bread rising 5 year old as a lovely project and hope to do lots with her this summer. Looking forward to having lots of fun with her and the club in the future! Hi my name is Sam and I have been with the club since 2011. I took over the membership secretary position in 2015. 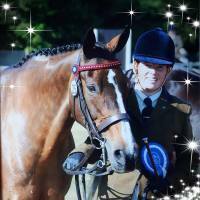 I like to compete my veteran mare Daisy, who is 25, in showing, TREC and dressage, we have had a lot of success locally and at county level in small Riding horse classes but now we just do the OAP stuff. I have also been lucky enough to join the Quadrille team for the last two campaigns, which was an amazing experience and it just proves that you shouldn't write off the older horse. 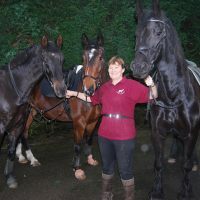 I am a freelance saddle fitter and I am always on hand helping out at shows and events. 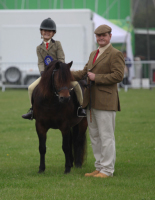 My name is Jamie, I was like a golf widow but a horsey one when I met my wife nearly 30 years ago, I soon progressed through the ranks as the groom and now I judge locally. I bred Dartmoor ponies for ten years, three of those years I was on the council for the Dartmoor Pony Society. I was the Walmer Horse and Dog show director for four years as well as running some local shows of my own. I now focus on my daughter competing mainly in dressage, but occasionally I will show one of our ponies to keep my hand in. I am Sarah, a self-confessed crazy animal lady! I have a small menagerie of furries; 2 guinea pigs, 4 cats, 2 dogs & of course my lovely 2 ponies! My background is mainly in dressage, but I have done a little of everything with my wonder-cob, Benson, who has owned me for almost 20 years! I am currently bringing on my other pony, April, which brings me onto why I wanted to be part of organising events for a riding club.... I am a nervous nelly, there is no doubt about it! I love my ponies, I love riding, I love being around them but I lack confidence. I wanted to build a support network for like-minded riders (and non-riders) where you can attend clinics, events, days out and social events with the emphasis of having fun and assisting each other. Hi, my name is Lucy. I started riding as a child and spent my teenage years competing my 14.2 cob in all pony club disciplines; as well as joining the hunting field for five seasons. 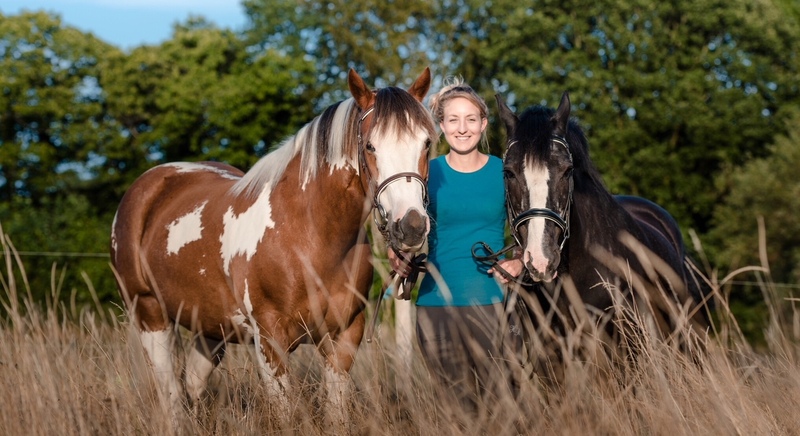 I studied a BSc Equine Management and worked as a freelance groom after leaving university; I am also a qualified Equine Sports Massage therapist, but after suffering a wrist injury I have taken up a sensible job in IT. I predominately Show Jump my horse JT at both RC and BS competitions, although occasionally you can find us in the Dressage arena.